Well before 1860, industrious Cannon Valley millers had established the state’s first flour milling center. It all began with an abundance of natural resources – fertile black soil, rapidly flowing rivers, Big Woods timber, and plenty of native limestone. When these assets were utilized by the Cannon Valley millers, the outcome changed history. In the early 1860’s, Edmund and Nicholas LaCroix built a Middling Purifier prototype which would single-handedly revolutionize the world’s flour milling industry by creating a demand for local wheat which was notoriously difficult to process decent flour from. 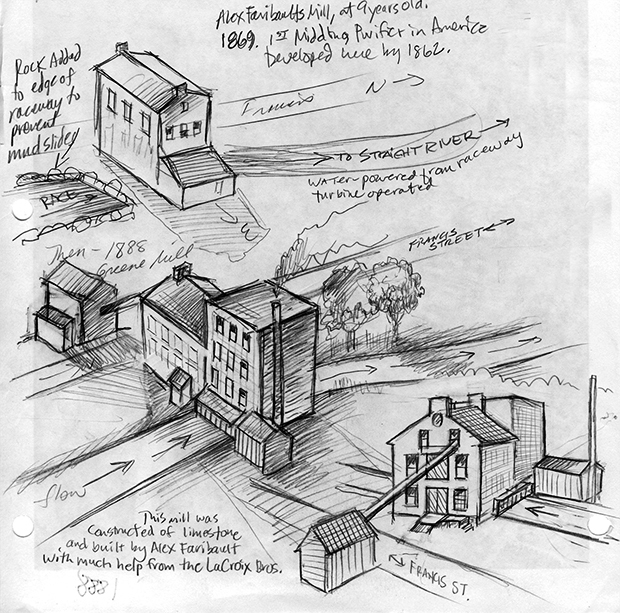 Cannon Valley millers –Archibald, Ames, and others, were quick to adopt the new invention as it fit into their “New Process” method they had perfected. This new way of milling made superior flour out of the despised Minnesota spring wheat, and the smooth white product made many more loaves of bread per barrel, and topped all others in price on the New York and London Stock Exchanges for a period of time. 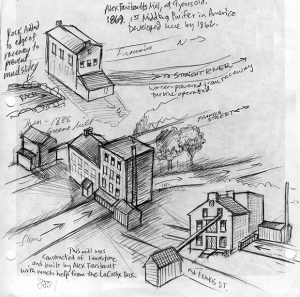 In the space of about 20 years, innovations developed at Cannon Valley mills surpassed all other gains in technology made in previous centuries of milling. These advances reshaped the nature of the world’s flourmaking industry and kickstarted the economy of the entire Cannon Valley region – six Minnesota counties bordering the Cannon River and its main tributary, the Straight River.